Inspired by a true story, a comedy centered on a 27-year-old guy (Joseph Gordon-Levitt) who learns of his cancer diagnosis, and his subsequent struggle to beat the disease. Being that this is a movie about cancer, I figured this would be an emotional, "meaning-of-life" kind of story, but I also assumed it would approach the subject matter in a funny(ish) light-hearted manner. This film is all of those things, but I have to say I would never have expected to find myself so emotionally invested in the main characters of a film starring Seth Rogen. 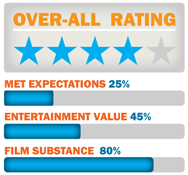 It’s hard to gauge the entertainment value of a movie like this for obvious reasons. Nothing about cancer is entertaining. But as far as story-telling, and filmmaking is concerned, this movie is very entertaining in the sense that at no point in the film do you find yourself not caring about anything that is happening on screen. I would have to say that this is probably one of the best films of the year so far. This movie features pretty much everything that makes a great movie; great performances, a great script, a perfect balance of emotion, and humor, it has a great message and overall theme, but most importantly it features characters you can truly care about. Joseph Gordon-Levitt projects an almost child-like innocence that makes the audience almost immediately sympathetic to his character. There are some pretty powerful and emotional scenes in this movie, but they are never forced or exaggerated, because they don’t have to be. When an audience is emotionally invested in a film and its main characters, everything matters and any danger the characters find themselves in immediately becomes emotionally overwhelming because we just don’t want anything bad to happen to them. This film is a very human story about dealing with adversity, and how ultimately the outcome of most of the challenges we face will rely heavily on the people we choose to surround ourselves with. Note: I’ve read some criticism about how this film is not an accurate portrayal about the harsh realities of cancer, and although I have no doubt that is very true, I decided to base this review entirely on the movie itself in a strictly “filmmaking” sense. 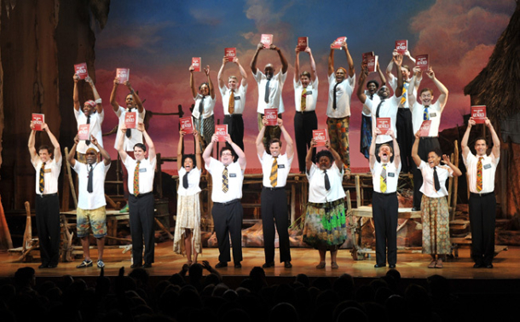 Great performances, great story with a great message. 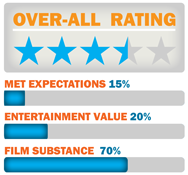 The film’s “R” (mainly due to language) may keep a more conservative audience from wanting to see it. After learning that the Jewish New Year begins today (Sep. 28, 2011) We decided to explore the history, as well as the present state, of the Jewish community here in the Rio Grande Valley. 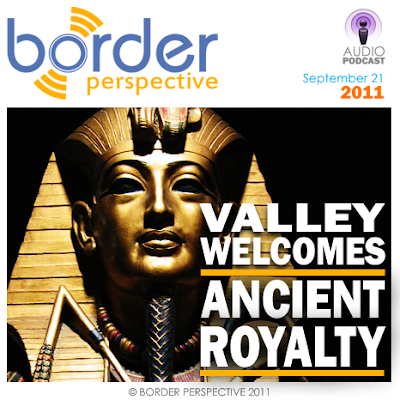 Be sure to subscribe to this podcast on iTunes to easily stay up to date with our most resent episodes. This film is being sold as a “Sports Drama”, so I was pretty much expecting an, ‘over coming the odds’, ‘David Vs. Goliath’ type story, with a roller-coaster of emotional arcs… in some ways, this film is pretty much exactly that, but it also offers a little something extra. (the “extra” is related to how the story ends, so I won’t say much about it). This movie is entertainment but in a very quiet way, I would compare it to an enjoyable conversation with a highly respected friend; no big laughs, no tears, but also no meaningless comments about the weather. If you walk into the theater expecting a drama dependent heavily on dialogue, and performance, you’ll walk out not regretting having bought your ticket. It’s a little longer than most new films (133 min. ), but I like this movie. I’ll admit, as is the case with most ‘based on a true story’ films, they’re a little tough to review because it's difficult to determine if I like the film because it’s well made, or just because the story itself was so amazing to begin with... or both. I’ll start by saying; this is a solidly made film, it features great performances by virtually the entire cast, (but being that it features a healthy amount of A-list actors, that’s no real surprise) The tone is kept consistent, and the emotional arcs are effective because a lot of time was dedicated to making sure we feel an emotional attachment to the main character. While most sports dramas center around the success of an individual, or sometimes, a whole team, this is a film about how an idea transformed an entire sport, but it’s also a little more than that…I don’t want to give away anymore, because I hate spoilers, but in my opinion, the real significance of this film lies heavily in how it ends, and what the main character and us as the audience take away from the outcome. I consider it an interesting ‘message’ on the true meaning of success, and failure… and I think the film did a great job in exploring that. 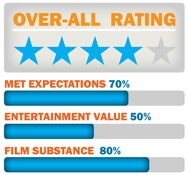 Not just a great sports drama, but a well made movie with good performances, and a well written, well structured story. 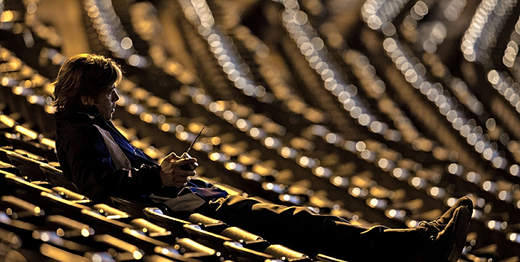 You don’t have to be a sports fan to enjoy it. Coming in at almost 2 hrs, and 15 min., it’s a little longer than most new films today. This week on the podcast, guest Teresa Garcia offers insight on what we can expect to see at the King Tut exhibit coming to the Rio Grande Valley, starting on Sept. 26, 2011. This podcast is also available for streaming right on your smartphone, download the Stitcher Smart Radio App. on your devices App Store for FREE. A Hollywood stunt performer who moonlights as a wheelman discovers that a contract has been put on him after a heist gone wrong. From the trailers, the TV Spots, the concept, even the title itself, I was expecting this to be a fast-paced action film, filled with cool cars, and chase sequences… I was wrong. The film itself is very slow to develop. The chase sequences that ARE in the film (not many) are brief, and relatively uneventful. All fight sequences, and action scenes, much like the chase sequences, are also brief with very little choreography. Despite it’s lack of entertainment value, I don’t consider this a bad film. There are a lot of things I like about it. First of all, it features a Ryan Gosling we haven’t seen before. The film also spends a lot of time introducing us to the main characters, (maybe too much time). There are a lot of genuine surprises in both the plot, and the decisions characters make that keep the movie interesting. The action sequences aren’t just a fireworks show, but are legitimate consequences to decisions made, and are never out of tone with the movie. Something I also appreciated was the absence of “cool” holding-the-gun-sideways action, the violence featured takes its proper place, it’s ugly, real, and not at all glorified. With all that however, I did walk out of the theater a little disappointed, as I’m sure so did everyone else. I just don’t see who this movie is for. It seems to have made every effort possible to sell itself as a serious version of “Fast and Furious”, and I’m sure that’s exactly what people will be expecting when they buy their movie tickets, but that’s not at all what they are going to get, and for that same reason, audiences that might appreciate some of the above mentioned elements will not at all be attracted to this film. The film is well directed. 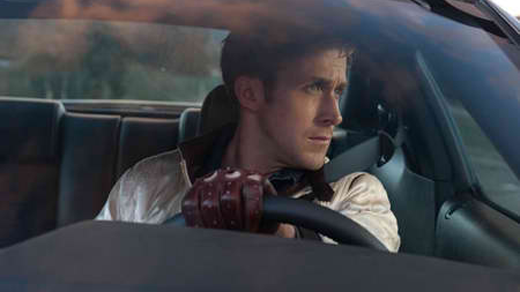 It introduces us to an interesting Ryan Gosling we haven’t seen before, and features some pretty interesting scenes. This film is not what it claims to be, it is slow paced, and it lacks all the action and car chase sequences that it “promises” its target audience. An article in The Monitor this week reports on how Mission landowners, and the city of Mission itself, have rejected the idea of a Mormon church/temple being built in the area. The Mormon Church (a.k.a. Church of Jesus Christ of Latter-day Saints), of course, is not happy about this at all, and has officially threatened to sue the city if it doesn’t comply with it’s request for permits to build a temple within the next 40 days. From the details mentioned in the report, it doesn’t seem as though there are any legitimate reason for denying the building of the temple. By that I mean, there’s no mention of things like public safety concerns, or that the specific location can’t handle large buildings or increased traffic. It just seems as though a substantial majority in the area just don’t want the church there. The report also pointed out that the Mormons have already bought the land where they intend to build the temple. All they need to get started on building is the required permits from the city. Arguably, it appears as though the city of Mission is not only going against the constitutionally granted freedoms of religion, but also the fundamental freedom of property owners to do whatever they feel is best with land they legally own. In this week's episode, screenwriter, and Valley native Alvaro Rodriguez discusses his work in Major Motion Pictures such as "The Hangman's Daughter", and "Machete". He also offers insight into the process of how a script becomes a movie. Plus, we feature our audio recordings of two performances by local dance master Susy T. Gramoff, from Maxwell Magazine's launch part held earlier this month. 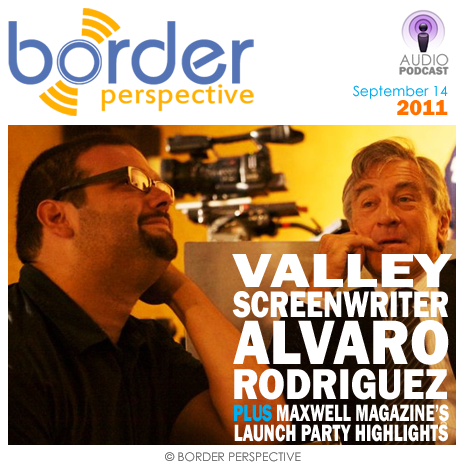 Mr. Alvaro Rodriguez will be part of Panel Discussions at CineSol's Film Festival this weekend held at UTPA. You can view the entire schedule of events on their Official Website. Listen on your smart phone with the Stitcher Radio App. A thriller centered on the threat posed by a deadly disease and a team of doctors contracted by the CDC to deal with the outbreak. 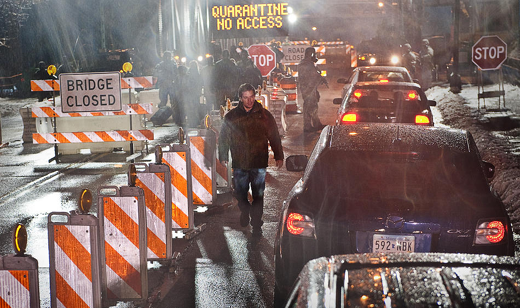 With all the remakes being made in Hollywood these days, I'll admit I was pretty much just expecting an 'Outbreak' remake. Once again however, director Steven Soderbergh presents something we haven't seen before. Just like most Soderbergh movies, this film is not very entertaining in the traditional sense. It doesn't feature explosions, car chases, or shoot-outs. Everything is presented in a very "mater-of-fact" way, with no obvious plot structure. Not "entertaining" however, does not mean "not interesting". This is a very well made film. It serves as a reminder that Hollywood can still make solid films when it wants to. I was amazed at how a film featuring an all-star cast could still manage to make a story seem very believable, and stay grounded in reality. The imagery is disturbing without being overly exaggerated, and is enhanced by strong context. In my opinion, I would say some elements could easily be labeled, by some, as borderline propaganda, but I chose to see it as the filmmaker's attempt at keeping the story grounded in real-world probability (at least I hope). This is very much a Steven Soderbergh film in style, and structure. If you like his work, you will like this film. I could literally write an entire essay on the strange, sometimes brilliant, sometimes downright confusing, but always interesting decisions Soderbergh makes in storytelling. I would definitely qualify this as "required viewing" for anyone interested in the craft of filmmaking. As a side note, after walking out of the theater I was literally too scared to touch door handles, and nervous about eating out... Its been a while since a movie has inflicted that type of fear in me. This is a well made film, with a fresh take on an old genre. 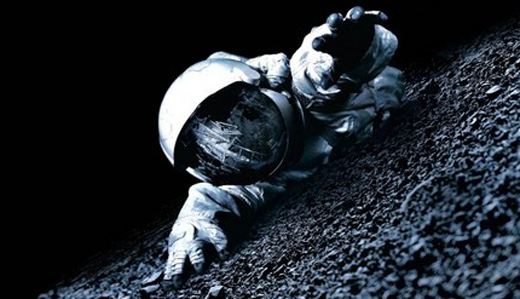 It's "real world" approach was much more effective in making it a more believable, and certainly a much more frightening story, than last week's Apollo 18's "found-footage" style ever came close to. This is very much a Soderbergh film, and just like most of his work, it features experimental elements that are not very "entertaining" (by Hollywood standards) nor very popular. The film is not slow to develop, but it is slowly paced, and does not follow traditional plot-structure. 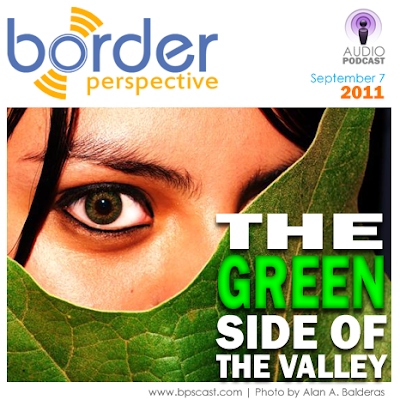 In his week's episode we explore the "Green" side of the Valley. 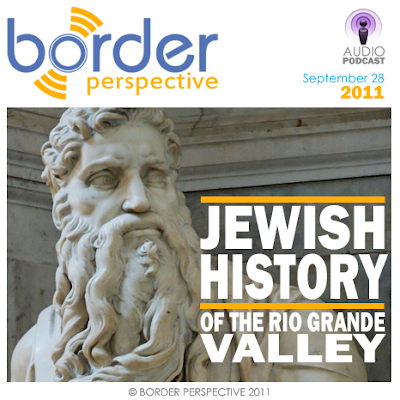 Guests Stefanie Herweck, and Mark Pena join host Christian Salinas to discuss environmental issues specific to the Rio Grande Valley, some of which may be very literally in our own back yard. 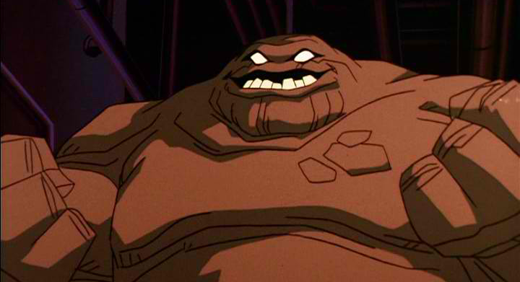 Unlike Clayface, Toxic Facial Creams are Very Real. I consider myself fortunate to have been born at just the right time to be a part of the generation that had Batman: The Animated Series (BTAS) as not just after-school entertainment, but as a transmitter of moral truths in a language that my 11-year-old mind could understand. The reason I bring this up is because of the recent horror story of the toxic levels of mercury found in the popular Mexican facial cream, Crema Aguamary, that has caused serious health problems to some Valley residents. I couldn’t read this story without immediately thinking about a story-line in the old BTAS where an actor is tragically affected by an addiction to a toxic facial cream. This is a very serious issue, and I’m in no way trying to make light of the matter, nor am I implying that the victims of these careless manufacturers did anything wrong, but valuable lessons can be learned from all of this. First being, we should never trust the manufactures’ word when they declare anything “safe” (especially from other countries). Second, in our attempts to keep ourselves from “aging” we might unfortunately end up causing greater damage to ourselves, unnecessarily sooner, than the God established, natural process of aging ever could… lessons, I’m grateful, a generation of kids learned almost two decades ago. Decades-old found footage from NASA's abandoned Apollo 18 mission, where two American astronauts were sent on a secret expedition, reveals the reason the U.S. has never returned to the moon. It’s impossible to watch the trailers or TV spots for this film, and not compare it to other “found-footage” type films such as Cloverfield or Quarantine or, of course the film that arguably created the sub-genre The Blair Witch Project. So walking into the theater, I was expecting something similar as far as tone, and style but most importantly direction… I was wrong. This film just isn’t very entertaining. It’s very slow to develop, and the “big reveal” just doesn’t make much of an impact. Being that I’m such a huge fan of space-themed movies, I could have easily overlooked all of these points however if the film had awesome space and moon visuals… it doesn’t. I really liked the entire concept of the movie, I’ve always been fascinated by the all of the Apollo missions, and the film does feature a couple of genuinely suspenseful moments. But overall, it just didn’t seem like the filmmakers followed the rules of the genre they obviously wanted to fit into (the mocumentary, found-footage sub-genre). From the very beginning, the filmmakers do everything they can to make us believe that everything we are seeing is authentic NASA footage. But, even though the “plot” attempts to justify it, there are just too many camera angles, and way too much style and editing for us to ever get lost in the film, and accept it as "reality". The concept of “something” being found on the moon by Apollo astronauts is pretty cool, plus the film does have genuinely suspenseful moments. It is very hard to accept any aspect of this film as “reality”, which I believe is a key element to enjoying “found-footage” type movies. A recent Channel 4 report, states that parents at a valley elementary school (Hudson Elementary School in Brownsville) have been having to wait hours to be able to pick up their kids at from school due to a new policy that bans all parents from being able go inside the school. Apparently the way it works is, any parent that wants to pick up their kid from school is given a number, when they go pick up their kid after school they give the number to a security guard. The guard goes, and gets the kid with the matching number, and brings him to the parent... one at a time. This was all, I'm sure, someone's bright idea to prevent kids from being taken by strangers. It would seem like a great strategy except for the fact that the report also pointed out how, one of the main reasons for all the delays is that, on several occasions, the security guards bring out the wrong kid to the wrong parents. This doesn't seem to be working. I'm also not sure if banning parents from campus is a great strategy either, I understand the need for safety, but the schools aren't prisons. There's plenty of reasons why a parent-visit to the campus might eventually be necessary. I give credit to the schools for caring enough to want to protect kids, but this system obviously isn't going to work. It definitely falls under one of those ideas that looks good on paper, but just not very practical in the real world.